Nanci Griffith's latest album is yet another alt-country take on war. Rather than railing against politicians or ideologies, however, Griffith wanders through the confusion and emptiness experienced by those left behind. 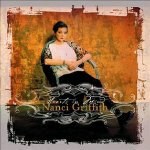 Nanci Griffith has been releasing albums for over 25 years now, and her output just keeps getting better. Her sound has been described as a blend of country and folk, but you could easily add rock, gospel, and -- at times -- jazz to that list of influences. Indeed, her sound, while most conveniently described as country, is far from the mainstream. Though Griffith left Austin for Nashville over two decades ago, her songs have much more in common with the authentic sounds of South by Southwest than the watered-down, neon-dance ditties of her current home. You could say she's a female Steve Earle, a left-of-center genre hopper whose main criteria is to keep it authentic. Griffith's latest effort, Hearts in Mind, is "dedicated to the memory of every soldier and every civilian lost to the horrors of war". Accordingly, many of the 14 tracks deal with the unrelenting ugliness of combat. Songs like "Heart of Indochine", "Mountain of Sorrow", "Old Hanoi", and "Big Blue Ball of War" explore the haunting, empty spaces that war always leaves in the lives of survivors. These songs were inspired by Griffith's recent trips to Indochina with the Vietnam Veterans of America Foundation. The rest of the album, however, also deals with wars and victims, but not wars between countries or ideologies. Rather, these songs center around the conflicts of love and the equally hideous vacuums a failed relationship can leave. Hearts in Mind begins on a pleasant, upbeat note with the gospel-tinged "Simple Life". Replete with ringing dobro, a walking bass line, and sweet harmonies, it's reminiscent of a Sunday morning church hymn. The overall mood of the song is pastoral, as Griffith longs for a former time when life was less complicated. "I want a simple life," she sings, "like my mother / And one true love / For my older years." Yet even this song, with its sunny images of country life and family, is grazed by the specter of war. At the end of each chorus, Griffith adds, "I don't want your wars / To take my children..." Upon closer listen, the song reveals itself to be an admonition on modern life and our reluctance to realize we already have the necessities. The message here is simple but profound: If we let go of everything we don't need, there would be no need for wars. The most notable quality of this album is its ability to deliver heavy truths in lightly-instrumented songs. "Heart of Indochine" takes the viewpoint of a traveler visiting the battlegrounds of Vietnam. As the narrator enjoys the pleasantries of traveling -- eating dinner, listening to music, visiting a café -- she can't help but wonder what happened to the dreams, hopes, and ambitions of the young men killed in her surroundings. This juxtaposition of the joyful with the abhorrent lends the song an ominous tone, reminding us that the unthinkable can erupt in the most enchanting of places. Likewise, the aptly-titled "Big Blue Ball of War" begins by recounting World War I, and then reveals the absurdity of man's failure to learn lessons from his worst moments. As Griffith reminds us, it's nearly one hundred years later, and earth is still submerged in self-inflicted destruction: "Almost a century the blood has flowed," she laments, "We've killed our men of peace around this ball / And refused to hear their goals." What makes this song particularly effective is the melody, which is so intricate and catchy that it instantly sounds familiar. The instrumentation, consisting mainly of spare piano chords and an acoustic guitar, is purposely kept behind Griffith's voice, which sounds weary yet slightly optimistic. As the song ends, Griffith provides a glimpse of hope: "These men of evil deed can be proven wrong / If we join hand in hand with Abraham / So not a soul falls off." Other songs deal with love, but are no less devastating in their delivery. "Back When Ted Loved Sylvia" chronicles the tragic love affair between the poets Ted Hughes and Sylvia Plath. The story is familiar: The two poets meet, fall into a tumultuous relationship, marry, have children, and somehow Plath ends up with her head in the oven. Rather than focusing on the now-mythological elements of the story, though, Griffith examines the everyday strife of such a difficult relationship. In "Rise to the Occasion", Griffith cautiously approaches love after heartbreak with more realistic expectations: "We don't even have to fall in love / Just rise to the occasion." These songs maintain the elegiac tone of the album and, along with the songs about war, serve to remind us that death -- whether physical or emotional -- is always followed by rebirth. Hearts in Mind is a stunning collection of profound musings on life, death, and the important things within: love, family, and finding joy in an often brutal world. Each song builds upon the emotional impact of the previous one, and by album's end, Griffith has guided us through a lifetime of emotions. At times, this album is almost too beautiful to endure, which, by anyone's standards, is truly an accomplishment. Here's hoping that Griffith is always a little more Austin than Nashville.